Lenin’s writings on religion may be divided into two categories: those that explicitly deal with religion and those that do so implicitly. In this article, I focus on the former. 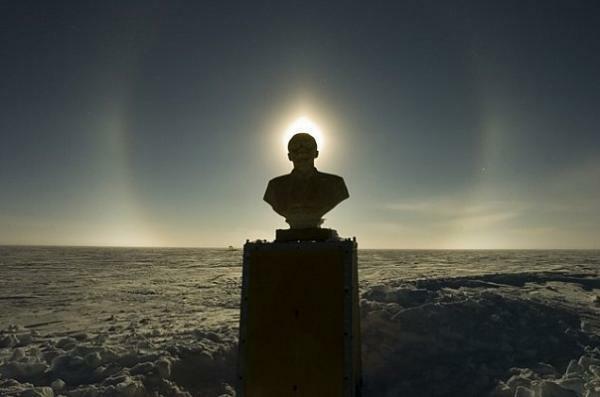 Too often, Lenin is understood as a doctrinaire atheist who has no time for religion. Yet, detailed attention to his statements on religion reveals a more ambivalent and complex position. I deal with four elements: (1) the duality of religion as both response to and cause of suffering; (2) the metaphors of opium and booze; (3) the question of freedom of conscience in relation to religion and the party; (4) radical possibilities for marginal forms of religion. The main texts for Lenin’s explicit statements are: “Socialism and Religion” (Lenin Collected Works 10:83-87), “The Attitude of the Workers’ Party Towards Religion” (15:402-413), “Classes and Parties in Their Attitude To Religion and the Church” (15:414-423), and “On the Significance of Militant Materialism” (33:227-236). Based on these texts, one may gain an initial impression of hostility to religion. He writes that Marxism “is absolutely atheistic and positively hostile to all religion” (Lenin 15:402; see also Lenin 19:23); it is a curse, a diversion of the working class, offering futile hopes of life after death. 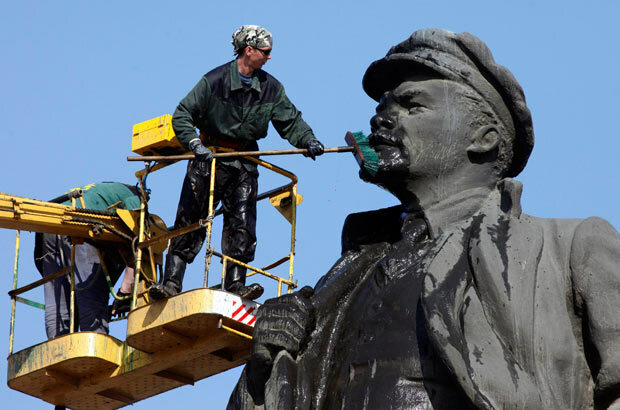 “Religious fog,” “medieval mildew,” “obscurantism,” “humbugging” (Lenin 10:84, 85, 87) – these terms initially seem to express the essence of Lenin’s position. A deeper reading reveals far greater complexity. To begin with, he argues that religion is both the response to and cause of oppression. On the first count, religion is a response to socio-economic exploitation (Marx, Collected Works 3:175-6; 5:4; Lenin 21:275-280). The true source of “religious humbugging” is economic slavery. 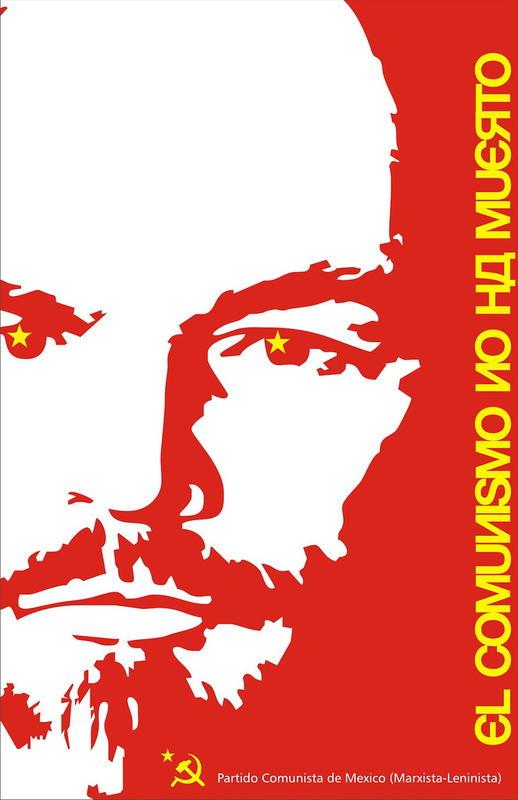 In contrast to bourgeois radicalism, in which religion is the main issue, for communists the yoke of religion is the “product and reflection of the economic yoke within society” (Lenin 10:87 and 86; see also Lenin 15:405-6). At the same time, religion is also a cause of suffering. As a system of belief, religion adds to the oppressive woes of the exploited, “coarsening and darkening … the spiritual and moral life of the masses” (Lenin 10:83). We may believe that the gods will provide us succour under trial, that our prayers for relief will be answered, that God will punish our enemies at the Judgement Seat, that the grace of God will lead to a life far greater than our present one. Yet we are deluded, for these beliefs merely make us content with our lot (Lenin 5:338). Our own beliefs are only part of the problem, for they are perpetrated by clergy, the “gendarmes in cassocks” (Lenin 17:142; see also Lenin 5:385, 414; 6:259) who are hand-in-glove with state powers, from which they receive their stipends, residences, church buildings, and by which the whole ecclesial system is maintained. In short, the clergy are part of the small ruling class, numbering also landowners and capitalists: those keen to preserve their privileged status (Lenin 19:28). How does one respond to religion? First, systematic education will make workers and peasants see the light. Through the press and word of mouth, through “an explanation of the true historical and economic roots of the religious fog” (Lenin 10:86; see also Lenin 15:404), will the truth of religion be revealed. This is only one element, for the other is revolution itself, in which workers will come, through their own struggle, to an awareness of that oppression and the role played by religion (Lenin 10:86-7). However, the obvious question is: what happens after the revolution, when you have deployed your most powerful weapon, remove the economic causes of religion and yet find religion still present? One approach is to assume that the revolution has removed all causes of alienation, but that religion also has political and cultural dimensions that persist. Sometimes, Lenin agrees, urging Skvortsov-Stepanov in 1922 to write a book against religion, which would outline the history of atheism and the connections between religion and bourgeoisie (Lenin 29:110-11; 36:570). Yet, in “On the Significance of Militant Materialism” from the same year, an increasingly impatient Lenin castigates the educational programs for incompetence in their tasks (Lenin 33:229-30). As for the persistence of religion, Lenin suggests (half-heartedly, it seems) that the masses still remain half-asleep, not yet having awoken from their religious torpor. But this still does not answer the question why religion persists after the revolution. Lenin does not answer directly, although he hints as the possibility that the oppressive conditions producing religion have not yet passed. His frequent post-revolutionary discussions of both the continuation of the class struggle, in which the dictatorship of the proletariat is crucial, and the international situation in which the bourgeoisie is hell-bent on thwarting the Russian revolution, may support the contention that class oppression has not yet been fully overcome. Yet, this argument may tend to the position that the revolution has made no difference at all, in respect to religion, class conflict and conditions of oppression. Is it possible, then, that one can identify revolutionary possibilities within a religion like Christianity? The question as to whether Lenin also saw this possibility underlies the following investigation. Thus far, I have argued that Lenin’s approach to religion leaves an unanswered question. The texts I have considered remain within a conventional paradigm: religion may be both result of and cause of suffering; the reply is a combination of patient education and agitation for overthrowing the economic basis of oppression. But how to respond to religion when it persists after revolution? The first hint appears in one of his most famous comments on religion: Religion is opium of the people [opium naroda]. Religion is a sort of spiritual booze, in which the slaves of capital drown their human image [obraz], their demand for a life more or less worthy of man (Lenin 10:83-4). This text is a direct allusion to Marx: “Religious suffering is, at one and the same time, the expression of real suffering and a protest against real suffering. Religion is the sigh of the oppressed creature, the heart of a heartless world, and the soul of soulless conditions. It is the opium of the people [das Opium des Volkes]” (Marx 3:175-76). Contrary to the usual impression that opium simply designates a drug that dulls the senses, Marx’s use is actually multivalent (McKinnon 2006; Boer 2012:223-30). At the time, opium was appreciated as a blessed medicine and condemned as a dangerous curse, with many shades in between. It was both a cheap curse of the poor and vital medicine, source of addiction and of inspiration for writers and artists, the basis of colonial exploitation (in the British Empire) and of the economic conditions that allowed Marx and Engels to do their revolutionary work. As the left-leaning Metropolitan of Moscow, Aleksandr Vvedensky, said already in 1925, opium is not merely a drug that dulls the senses, but also a medicine that “reduces pain in life and, from this point of view, opium is for us a treasure that keeps on giving, drop by drop” (Vvedensky 1985:223). Indeed, Marx himself was a regular user of opium in order to treat the multitude of ailments produced by overwork, lack of sleep, chain smoking and endless pots of coffee (Jenny Marx 1983:563). Is Lenin’s usage similarly multivalent? He translates Marx’s “opium of the people [das Opium des Volkes]” as “opium of the people [opium naroda].” The usage is the same, with a genitive in Russian (see also Lenin 15:402-3). What about his gloss, “a sort of spiritual booze” [rod dukhovnoi sivukhi]? Is religion no more than a bottle of vodka, used to dull the pain? I suggest that booze is also a richer and more complex metaphor. To begin with, in 1925 Metropolitan Vvedensky pointed out that “booze” (sivukhoi) is a good translation of “opium” (Vvedensky 1985:223), which opens up further ambiguity. 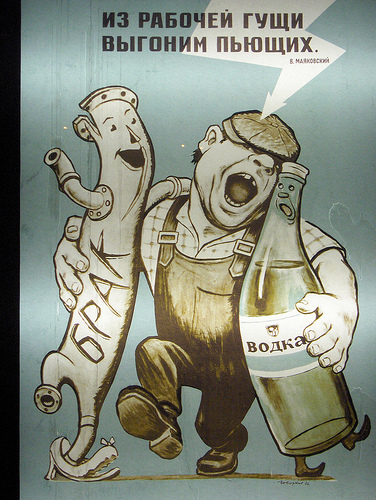 To this should be added the role of alcohol in Russian culture: even today, beer has only recently (2011) been designated an alcoholic drink, although most continue to think it is not. After this legislation, not much has changed in Russia’s beer-drinking culture except that Putin’s ‘police’ increasingly fine youngsters for drinking in public. Two-litre bottles are still available in shops. Further, the famed vodka may be bought in bottles that fit comfortably in one’s hand, a necessary feature due to that great Russian tradition in which an opened bottle must be emptied. Russians may be admired for their fabled drinking prowess, vodka may be a necessary complement to any long-distance rail travel, it may be offered to guests at the moment of arrival, it may be an inseparable element of the celebration of life, but it is also the focus of age-long concern. One may trace continued efforts to curtail excessive consumption back to Lenin and Stalin. Later, Khrushchev and Brezhnev sought in turn to restrict access to vodka, although their efforts pale by comparison to the massive campaign launched by Gorbachev in 1985. Lenin himself fumed at troops and grain handlers getting drunk, molesting peasants and stealing grain during the dreadful famines (due to lack of means to transport grain) during the foreign intervention after the Revolution. Nonetheless, vodka was a vital economic product. Already in his painstakingly detailed The Development of Capitalism in Russia, Lenin provides graphs and data concerning the rapid growth of the distilling industry (Lenin 3:288-91). Alcohol is as complex a metaphor as opium, if not more so. It is both spiritual booze and divine vodka: relief for the weary, succour to the oppressed, inescapable social mediator; it is also a source of addiction, dulling of the senses and dissipater of strength and resolve. Religion-as-grog thereby opens up far greater complexity concerning religion in Lenin’s thought. Lenin’s approach to religion becomes even more multifaceted when he deals with freedom of conscience. He pays close attention to this phrase for a number of contextual reasons, but especially the position on the powerful German Social Democrats and their invocation of “freedom of conscience” in relation to religion. As the Erfurt Program of 1891 stated, “Declaration that religion is a private matter [Erklärung der Religion zur Privatsache]” (SPD 1891a:3; 1891b:3; see also Lenin 15:404). Most of the time, Lenin adheres to this position (Lenin 4:239; 6:28; 8:92; 12:296; 6:402; 7:79), but in both “Socialism and Religion” and “The Attitude of the Workers’ Party Towards Religion,” he makes a few qualifications. He distinguishes between state and party: religion must be a purely private affair, separated in all respects from the state; the party must not make religion a private affair yet atheism is not a prerequisite for membership. The former position might be expected, but the latter less so. 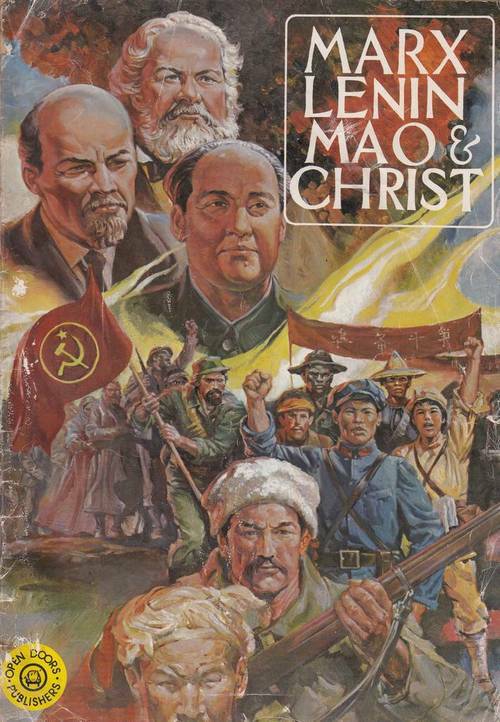 As for the state, the properly communist position is a radical separation of church and state, along with separation of church and education (Lenin 10:194-5; 11:35). Given the sad history of the church’s dirty little relationship with the state, the removal of the church from all influence was necessary (Lenin 10:84-5; 6:28, 30; 6:347-8; 6:402). Now Lenin provides an important qualification: the party must not make religion a private affair. Contextually, he sought to counter the Western European application of freedom of conscience to all spheres. Given that religion is both symptom of economic oppression and a contributing factor to its perpetuation, socialists should fight publicly against such oppression. Advanced fighters “must not be indifferent to lack of class-consciousness, ignorance or obscurantism in the shape of religious beliefs” (Lenin 10:85). Thus, separation of church and state enables the party to undertake its ideological struggle against religion without hindrance. Religion is therefore a very public matter for the party. Does this mean one must be an atheist to become a member of the party? 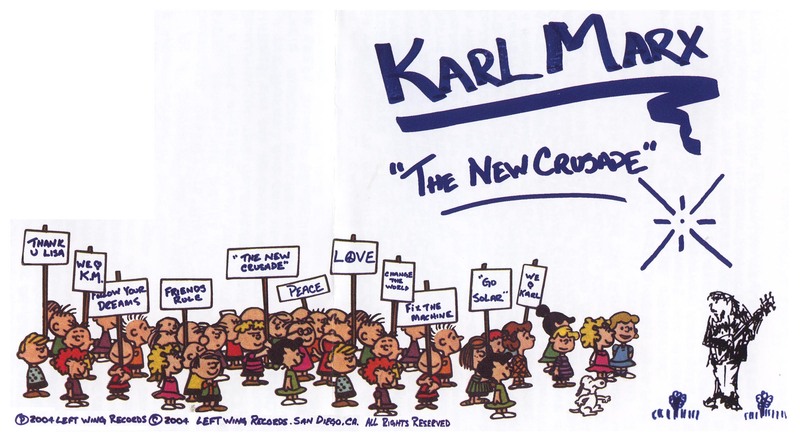 Not at all: even though socialists may espouse a materialist worldview, undertake education programs against the church and hope that the historical materialist position will persuade all (Lenin 8:509-10; 10:23; 10:47-8), the party does not require atheism as prerequisite for membership. Even more, no-one will be excluded from party membership if he or she is religious: “Organisations belonging to the R.S.D.L.P. 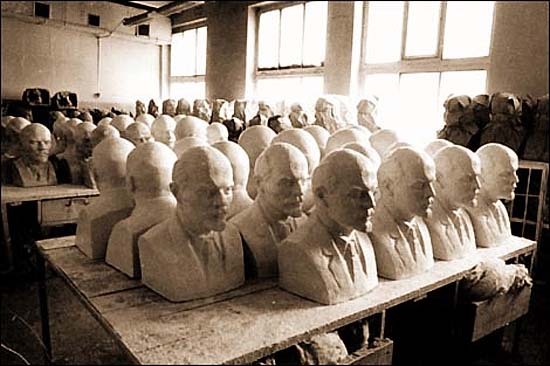 have never distinguished their members according to religion, never asked them about their religion and never will” (Lenin 6:331, footnote; see also Lenin 15:408). Three reasons appear. First, opposition to religion strengthens reactionary elements within religious organisations, as was seen with Bismarck’s Kulturkampf against the German Roman Catholic Party in the 1870s (Lenin 15:403). Second, attacking religion diverts attention from resistance to economic subjugation. Now we return to our starting point: if religion is a secondary, idealist phenomenon, then an attack on religion misses the mark. Should one achieve the aim of abolishing religion, nothing would change, for bosses would still oppress workers. 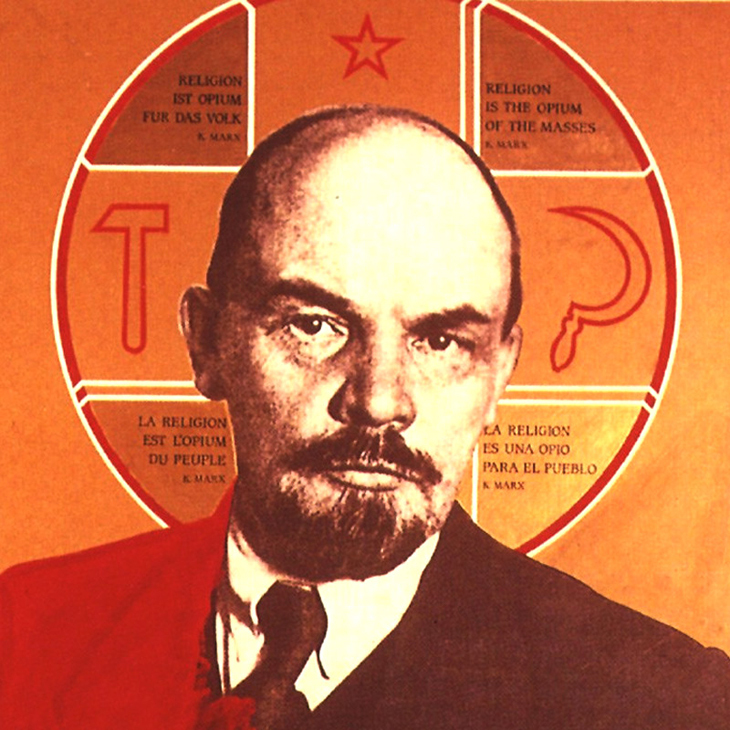 Third, a focus on religion splits the united front of the proletariat (Lenin 15:407-8). The Right knows this full well, attempting to break up the proletariat on religious lines, urging allegiance to the church and claiming that socialism has a program of godless atheism. So also does the bourgeoisie, which wavers between anti-clericalism in its struggle with the old order and reconciliation with religion. For these reasons, the party does “not and should not set forth” atheism in its program (Lenin 10:87). 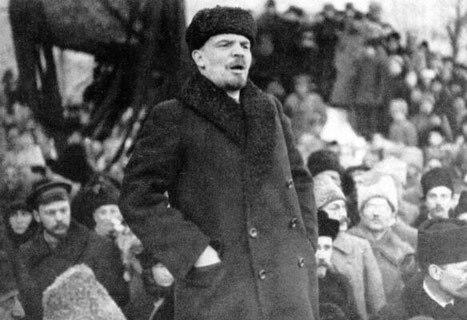 Or, in one of Lenin’s characteristic images: “Unity in this really revolutionary struggle of the oppressed class for the creation of a paradise on earth is more important to us than unity of proletarian opinion on paradise in heaven” (Lenin 10:87). A united front is needed, drawing the line not between believer and atheist, but between workers and owners of capital. People who are still religious are welcome in the party, insofar as they join the struggle: Jews and Christians, Armenians and Tatars, Poles and Russians, Finns and Swedes, Letts and Germans – all of them march together under the one common banner of socialism. All workers are brothers, and their solid union is the only guarantee of the well-being and happiness of all working and oppressed mankind (Lenin 8:348; see also Lenin 8:509-10; 10:23; 10:47-8). For the first time, Lenin recognises a revolutionary potential within religion. I return to that question in a moment, but first I would like to suggest that Lenin does not go far enough in his argument concerning freedom of conscience. On this matter, he is not dialectical enough. The issue is party membership for a Christian believer and Lenin, as we saw, has already stated that the party does not require subscription to atheism. At this point, he invokes the distinction between collective and individual approaches to religion and party. In effect, he asks: do we operate from the basis of the private individual, allowing full reign to individual freedom of conscience within the party, or do we begin with the collective and explore the ramifications? This question lies behind the statement, “We allow freedom of opinion within the Party, but to certain limits, determined by freedom of grouping” (Lenin 15:409). If the collective has come to agreed-upon positions, through open debate (he was a great proponent of arguing vehemently and openly, for this produced a healthy party) and congresses, then those who join must abide by those positions. The same applied to religion. Lenin provides two examples, concerning a priest and a worker (Lenin 15:408-9). The choice of the priest is not arbitrary, for it was a common question at the time. The usual response was an unqualified affirmative, but Lenin differs. If a priest shares the aims of the party and works actively to achieve them, then he may join. If there is a tension between his religious belief and communism, then that is a matter for him alone. But if the priest seeks to persuade others of his religious view and thereby does not abide by the party’s collective position, then he will be stripped of his membership. The same principle applies to a believing worker. He should be actively recruited, but if he attempts to persuade others of his views, he will be expelled. At first sight, this argument seems reasonable, since anyone who joins a political organisation should subscribe to its platform. But is this a fully collective position? If we stay with the minimal notion that a democratically agreed platform is binding on the minority who disagrees, then it may be regarded as collective. Yet this approach is no different from any other political party in (capitalist) parliamentary democracies. For this reason, we may go a step further: within a collective movement such as socialism, imposing one will over another is anathema. A collective will is not the assertion of uniformity from above, not even the vote of a majority over minority, but a collective agreement that arises from the complex overlaps of beliefs, aspirations, even foibles that are given full and open expression. Only when these many-coloured expressions are allowed full rein, pursuing all manner of possibilities until they collapse in dialectical exhaustion, does a collective will emerge. Or rather, the very act of enabling such free expression and freedom of conscience is the embodiment of such collectivity, the result of which turns out to be a collective will. In short, a completely collective approach is the best guarantee for full freedom of conscience. Now at last I can return to the political ambivalence of religion, especially the question as to how much Lenin was aware of the revolutionary history and possibilities of religion. At times, he did glimpse such possibilities, of which I present two examples out of a wider collection. The first concerns Russian Orthodox clergymen dissatisfied with the church’s corruption and power – a significant feature of the Church at the time and the source of the major radical movement known as the Renovationists, led by Metropolitan Aleksandr Vvedensky. In this light, Lenin stresses that some clergy “are joining in the demand for freedom, are protesting against bureaucratic practices and officialism, against the spying for the police imposed on the ‘servants of God’” (Lenin 10:85; see also Lenin 8:448; 5:469 footnote; 6:296-7; Walling 1908:392-401). Noting such a development is not enough, for socialists must fully support this groundswell, urging clergy in every way to realise their desire for breaking the debilitating ties between church, police and state. After all, suggests Lenin, you priests should believe in “the spiritual power of your weapon” (Lenin 10:85). But if you cave into inducements from the state, then woe to you, for Russian workers will be your enemies. A second moment of deeper awareness comes after the October Revolution. On 1 March, 1921, Lenin wrote to the chair of the State Bank and of the Supreme Economic Council, N. Osinsky (V. V. Obolensky). Lenin mentions a certain Ivan Afanasyevich Chekunov, a peasant keen on improving the lot of toiling peasants. 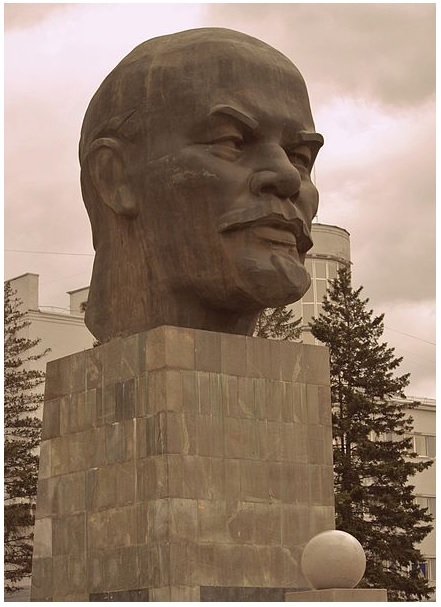 Having improved his own farm, he had toured other areas (around Novgorod and Simbirsk) and tells Lenin that the peasants had lost confidence in Soviet power. 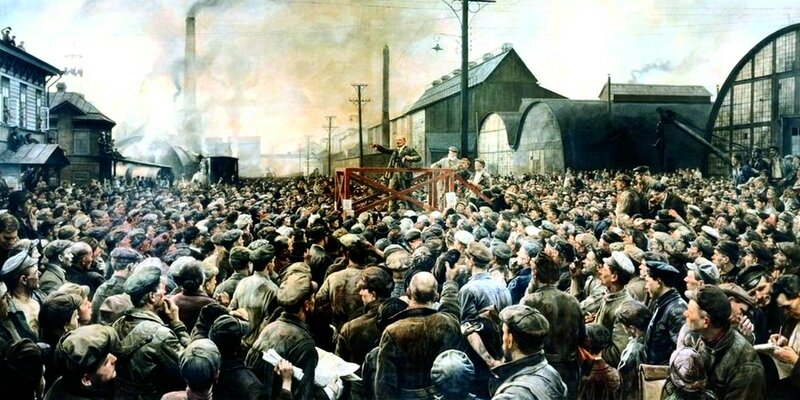 Knowing full well the vital role of peasants in building a new society and sensing Chekunov’s enthusiasm, Lenin urges Osinsky to appoint Chekunov to the role of representative of the People’s Commissariat for Agriculture, with a view to establishing a non-Party Peasant Council. Now comes the vital point: Chekunov “sympathises with the Communists, but will not join the Party, because he goes to church and is a Christian (he says he rejects the ritual but is a believer)” (Lenin 45:91). Standing before him is a Christian peasant with communist leanings who may possibly be enlisted in the broad front of communist reconstruction. Even more, Lenin suggests a Non-Party Peasant Council, beginning with an old farmer, along with another person from an area not producing grain. Crucially, not only should they be experienced, but “it would be good for all of them to be both non-Party men and Christians” (Lenin 45:91). The reason is not given, but clearly such an organisation would gain the confidence of peasants, showing both support for the communist government from outside its own ranks and revealing that Christians too may have communist preferences, indeed, that being a Christian and communist peasant is not a contradiction in terms. Alexinsky, Gregor. 1913. Modern Russia. Translated by B. Miall. London: T. Fisher Unwin. Boer, Roland. 2012. 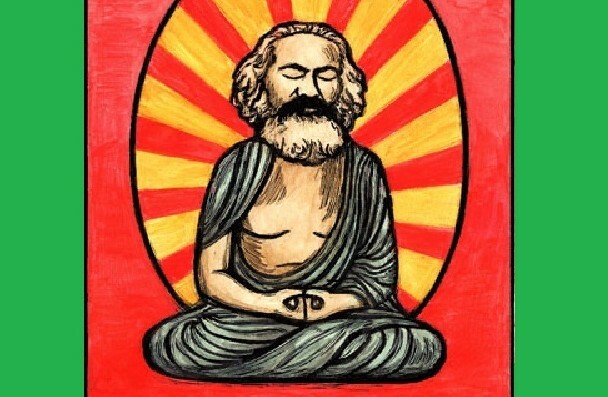 Criticism of Earth: On Marx, Engels and Theology. Leiden and Chicago: Brill and Haymarket. Engels, Friedrich (see Marx, Karl, and Friedrich Engels). 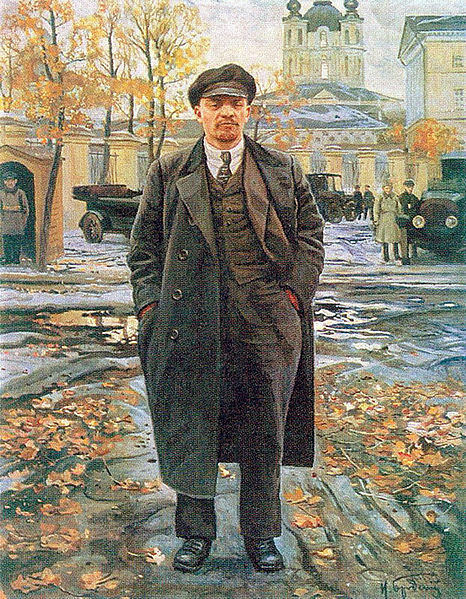 Lenin, V.I. 1960-72. Collected Works. Moscow: Progress Publishers, 45 volumes. Marx (senior), Jenny. 1857 . Jenny Marx to Engels in Manchester, London, about 12 April 1857. In Marx and Engels Collected Works, Vol. 40. Moscow: Progress Publishers, 563. Marx, Karl, and Friedrich Engels. 1975-2004. Marx and Engels Collected Works. 55 volumes. Moscow: Progress Publishers. McKinnon, Andrew M. 2006. “Opium as Dialectics of Religion: Metaphor, Expression and Protest.” In Marx, Critical Theory and Religion: A Critique of Rational Choice. Edited by W. S. Goldstein. Leiden: Brill. Miliukov, Paul. 1962 . Russia and Its Crisis. London: Collier-Macmillan. Sozialdemokratischen Partei Deutschlands (SPD). 1891a. Erfurt Program. In German History in Documents and Images: Wilhelmine Germany and the First World War, 1890–1918. Available at http://www.germanhistorydocs.ghi-dc.org/pdf/eng/513_Erfurt%20Program_94.pdf. Sozialdemokratischen Partei Deutschlands (SPD). 1891b. Protokoll des Parteitages der Sozialdemokratischen Partei Deutschlands: Abgehalten zu Erfurt vom 14. bis 20. Oktober 1891. Berlin: marxists.org. http://www.marxists.org/deutsch/geschichte/deutsch/spd/1891/erfurt.htm . Vvedensky, Aleksandr Ivanovich. 1985 . Otvetnoe Slovo, A.I. Vvedensky. In Religia i Prosveshchenie. Edited by V. N. Kuznetsova. Moscow: Sovetskaia Rossiia, pp. 214-23. Walling, William English. 1908. Russia’s Message: The True World Import of the Revolution. New York: Doubleday, Page & Company. The position of such a “textbook” Lenin is actually closer to some of his contemporaries, both his erstwhile comrade, Alexinsky, and the liberal Miliukov (Alexinsky 1913:307-17; Miliukov 1962: 60-104). See Lenin’s citation of Marx’s comment that one must pay equal attention to the “theoretical existence of man,” which includes “religion, science and so forth” (Lenin 1:161-2; Marx 3:143). Or as Lenin puts it with characteristic earthiness: “All oppressing classes stand in need of two social functions to safeguard their rule: the function of the hangman and the function of the priest” (Lenin 21:231-2; see also Lenin 223:242; 5:290-1; 6:413, 422, 424, 427; 8:87; 9:464; 11:40; 12:275; 18:555-561; 19:260; 19:269; 19:332; 20:40; 21:228, 229, 231; 22:295; 23:128; 23:185; 23:265; 23:336; 31:149; 36:244-246). This observation, which Vvedensky had gained from doctors who used opium to treat melancholy and other ailments even in the twentieth century, is the first observation concerning the ambivalence of the opium image. Note also: ‘the opium of religion which stupefies the people’ (Lenin 25:455; Lenin 15:422-23). On this matter, Lenin has listened carefully to the position of Marx and Engels in relation to the First International (Marx 21:208; see also Marx 23:142; Engels 23:275-6; 43; Marx and Engels 23:460).